The rising star of Bollywood Vicky Kaushal has been impressing fans since his debut film Masaan. The actor has a huge fan following and he is known for playing a variety of roles in such a short time of his career. 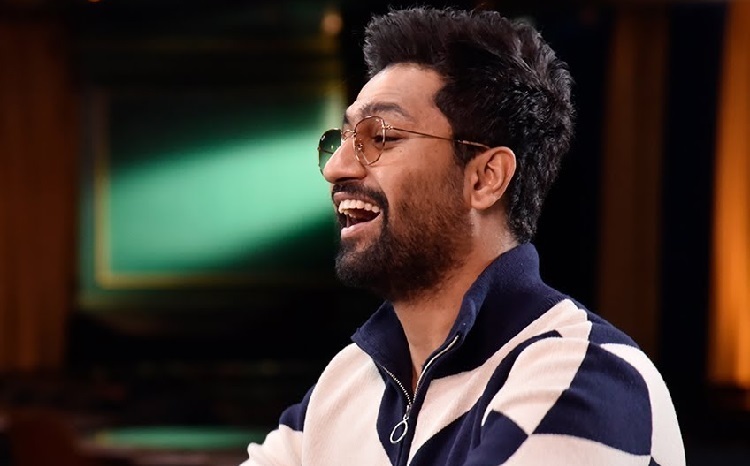 From Alia Bhatt in Meghna Gulzar's Raazi to Taapsee Pannu in Anurag Kashyap's Manmarziyaan, Vicky Kaushal has locked lips with many B-town beauties. However, he revealed on a chat show that his best on-screen kiss was in Neeraj Ghaywan's Masaan, which was his first film as a leading man. "It would be in Masaan, with Shweta (Tripathi). Because the scene was that these two very virgin kids are exploring that moment for the first time. There was this nervousness to that kiss," the actor revealed. On the show, Vicky also recalled the moment he knew he had arrived in Bollywood. "It was somewhere between Raazi and Sanju. Or post-Sanju, when people started calling me by my character or by my name. The number of people asking for selfies kept on increasing and people just randomly started spotting me. Randomly, when I'm walking, they say, 'How's the josh?' It happened gradually," he said. Meanwhile, on the work front, Vicky was last seen in URI and the actor is currently shooting for an untitled horror film which will also feature Bhumi Pednekar as the leading lady. Witness Jimmy and Mani on screen as well as off screen for 'MKDNH' Kangana Ranaut's UNEXPECTED Statements as she ATTACKS National Awards!